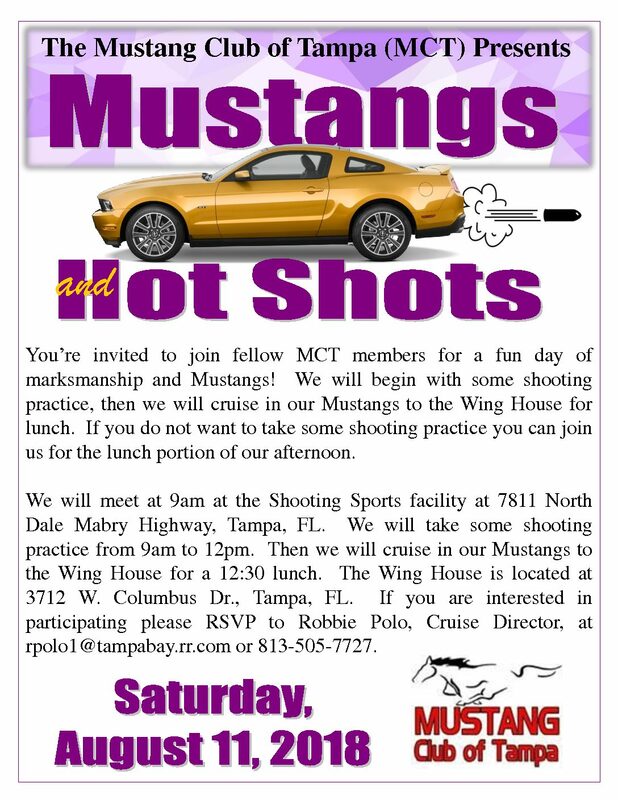 You’re invited to join fellow MCT members and friends for a fun day of marksmanship and Mustangs, starting at the Shooting Sports facility on Dale Mabry Highway. 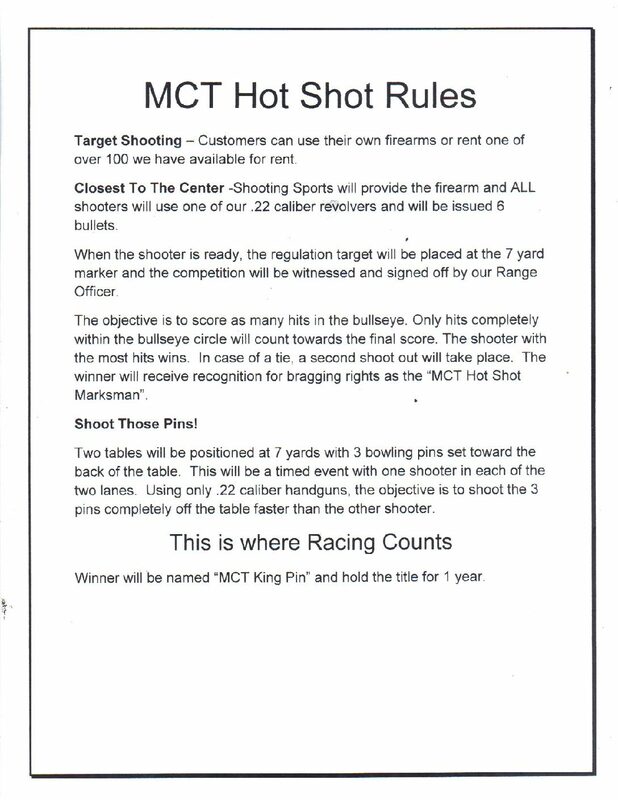 I have included the flyer and attachments with the Hot Shot Rules and Event Competition Sheet for bragging rights (MCT King Pin). 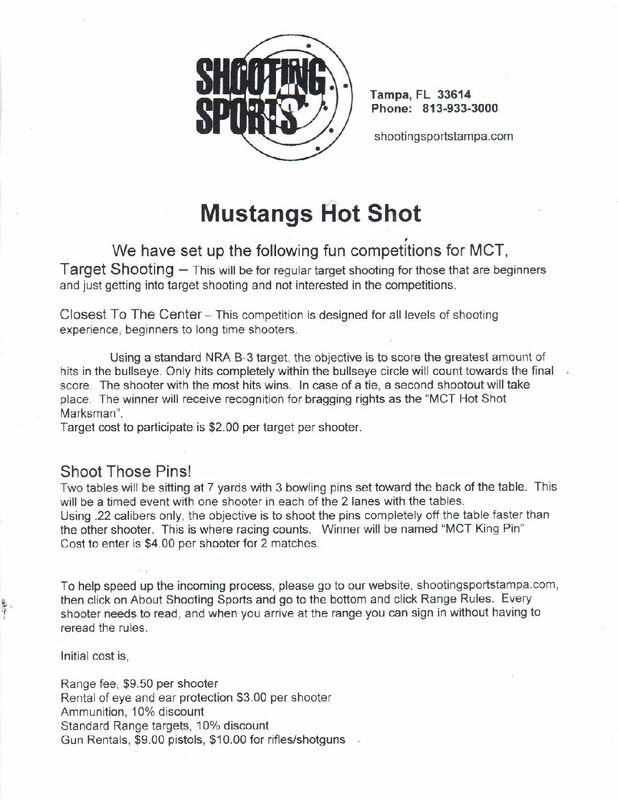 After the shooting practice, we will cruise in our Mustangs to the Wing House for lunch. If you do not want to take some shooting practice you can still join us for the lunch portion of our event. 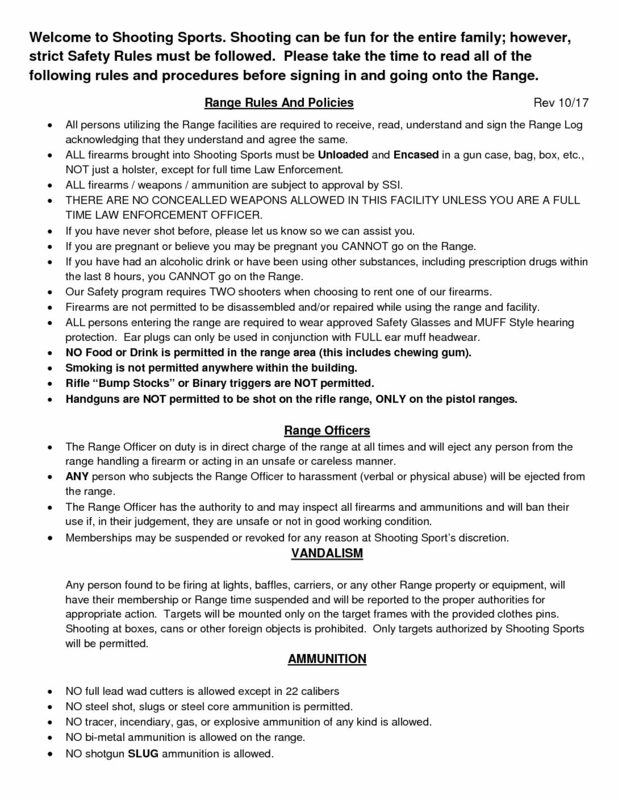 Please make sure to read the range rules linked below before arriving. It will help to speed up the process when we arrive. Please remember to RSVP to Robbie Polo, MCT Cruise Director, at rpolo1@tampabay.rr.com or (813) 505-7727.